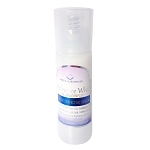 This facial moisturizer lightens the skin and keeps it light with sunscreen protection. It also repairs and prevents other visible signs of aging. 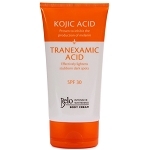 - For best results, use in conjunction with Belo Essentials soap and toner. - Formulated with a rich vitamin compound for optimum skin nutrition. 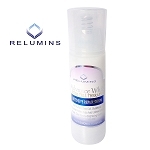 - Contains glutathione, kojic acid, and gigawhite for ultimate whitening. - Dermatologist developed and tested to be safe and gentle, even on sensitive skin. - Skin looks younger and lighter in 7 days. Water, Cyclotetrasiloxane, Cyclopentasiloxane, Ethylhexyl Methoxycinnamate, Glyceryl Stearate, Ceteareth-20, Ceteareth-12, Cetearyl Alcohol, Cetyl Palmitate, Cetyl Alcohol, Sorbitan Palmitate, Sorbitan Olivate, Niacinamide, Benzophenone-3, Titanium Dioxide, Alumimun Hydroxide, Dimethicone/Methicone Copolymer, Carbomer, Triethanolamine, Fragrance, Glucono-delta-lactone, Benzyl Alcohol, Methylchloroisothiazolinone, Methylisothiazalinone, Citric Acid, Mannitol, Sodium Gluconate, Sodium Citrate, Waltheria Indica Leaf Extract, Dextrin, Ferulic Acid, Tetrasodium EDTA, Chamomile Extract, Panthenol, Tacopheryl Acetate, Glutathione, Saccharide Isomerate, Kojic Acid, Hydrolized Prunus Domestica, Butylene Glycol, Acetyl Tyrosene, Sodium Sulfite, Aminopropyl AscorbylPhosphate, Saxifraga Sarmentosa Extract, Arbutin, Paeonia Suffruticosa Root Extract, Scultellaria Baicalensis Root Extract, Malva Sylvestris Extract, Mentha Piperita Leaf Extract, Primula Veris Extract, Alchemilla Vulgaris Extract, Veronica Officinalis Extract, Melissa Officinalis Leaf Extract, Achillea Millefolium Extract, Morus Alba Root Extract, Hydroxypropyl, Cyclodextrin. Use every morning after cleansing and toning. Scoop the desired amount using the spatula and gently massage onto the face and neck. Do not apply in and around the delicate eye area or on irritated skin. Keep away from direct sunlight and heat. It's really nice and effective. You have to be patience as it takes time but it really works. It's not oily and gets easily absorbed so breakouts. I used this with kojic soap and I can see difference in just 7 days of usage. Thanks Suzy for amazing products. This bello facial cream makes my face whiter and smoother.i will defenitely buy more.and i will recommend it to my friends. It's really nice and effective. You have to be patience as it takes time but it really works. It's not oily and gets easily absorbed so breakouts.